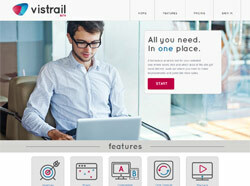 Vistrail is a behaviour analysis tool for websites. It collects visitor data and then produces visual representation is user activity. The visuals include heatmaps of user clicks and points of interest, scrollmaps to show how far down a page people scroll, comparison of how the site looked earlier in it’s development, session playback, watch the route people take through your site and statistics covering the screen size, which browser, social media referrals and a host of others. Take a look at the Vistrail.com website. The recruitment agency wanted a website that looked slick and professional. They wanted people to be able to upload CVs and list the vacancies they are posting to Twitter. 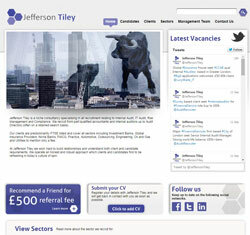 Take a look at the Jefferson Tiley website.